The campus community is invited to celebrate the 50th anniversary of the dedication of Neu Chapel (March 1966) this Sunday, April 3 at 11:00 a.m. in Neu Chapel. Neu Chapel was completed in December 1965, the inaugural service was held on January 6, 1966, and later that spring on March 15, 1966, Methodist bishop Richard C. Raines dedicated Neu Chapel. We’re celebrating 50 years of history and an exciting future, unafraid, and invite you to participate in the ceremony. The R. Wayne Perkins Lecture Series: Theology, Ministry, and Interfaith Initiatives, sponsored by the Office of Religious Life, will bring together theology scholars and church leaders to explore questions about theology in the public square, interfaith initiatives, and ministry in the 21st century. The lectures will explore theological questions about being human, the function of theology and the responsibility of the theologian in the public square, and the church's role in forming the next generation of theologians. The lectures are intended to promote responsible theological acumen, compassionate social values, and peace with justice. The series has been developed to generate greater attention to theological practice, interfaith engagement, and ministry as vocation among our students, alumni, clergy, and the larger community. Ministry and Clergy Reunion - Saturday, April 2, 10:00 a.m., in Eykamp Hall, Ridgway University Center. Alumni who are serving in a ministry setting are invited to attend the reunion weekend. Panel Discussion: “Ministry in the 21st Century” begins at 2:00 p.m., in Eykamp Hall, Ridgway University Center. The public is invited to the panel discussion. 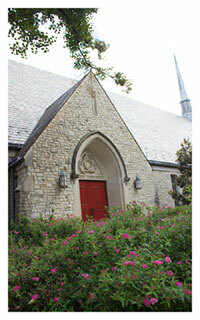 Marriage Vows Renewal Ceremony and Celebration for UE alumni and guests will begin at 4:00 p.m. in Neu Chapel. A reception will follow for all couples and their guests in the Ridgway University Center. The public is invited to the Saturday, 2:00 p.m. panel discussion and University Worship on Sunday at 11:00 a.m. Pre-registration required for other events. For more information contact: Sylvia DeVault '85, director for alumni and parent relations, at sy5@evansville.edu, or university chaplain Tammy Gieselman ’95, at tg85@evansville.edu. Relay for Life is tonight! Please, join us for UE/USI Relay for Life tonight, April 1, starting at 7:00 p.m. and ending at 7:00 a.m. on April 2 at USI's PAC (first large building on the left on the USI campus). Register at relayforlife.org and make sure to pay your $10 registration fee at the event if you haven't already! Prepare for a night of volleyball, 4-square, Zumba, fighting back and countless other activities! Questions? E-mail lw147@evansville.edu. The Department of Music will celebrate the 40th anniversary of the Music Therapy Program by hosting an Open House in Krannert Hall of Fine Arts today from 4:00-6:00 p.m. The community is welcome to come and visit with faculty members and to browse displays of the program’s history and its ongoing activities. Guests may also observe (or join in) as music therapy students demonstrate various music therapy interventions. Stationed in classrooms and rehearsal spaces, students will also be demonstrating drumming, singing, movement, and improvisation processes used in the discipline. Light refreshments will also be served. For questions, contact professor of music Mary Ellen Wylie at 812-488-2875. Phi Mu would like to invite you to attend its new philanthropy event, Milkshakes for Miracles, a 1950s themed sock-hop dance tonight from 7:00-10:00 p.m., in Carson Center's small gym. Milkshakes, rootbeer floats, and popcorn will be served. Tickets are $5 and includes cost of admission, a milkshake or rootbeer float, and popcorn. If you don’t feel like dancing the night away, you can order a milkshake to go for $2. All proceeds go toward Children Miracle Network Hospitals. Join Venturing Crew on Sunday, April 10, for a trip to Kentucky Action Park! The group will leave at 8:00 a.m. and will return around 5:00 p.m. It will be an exciting day of cave tours, an alpine slide, go-carts, putt-putt golf, and more. Lunch will be included. To reserve your spot, bring $25 to the sign-up table in Ridgway University Center from 11:00 a.m.-1:00 p.m. TODAY. You may also pay Calvin Wertman in Residence Life until 4:00 p.m. on Tuesday. If enough people are interested, horseback riding may be available for a reduced rate of $14/one hour (full price $18/one hour). Please tell the officer at the sign-up table if you would like to go horseback riding during the trip, but do not pay the additional $14 at that time. We hope you will join us for the final off-campus event of the semester! The UE Department of Music is hosting a fundraiser at Orange Leaf today. Stop by between noon-9:00 p.m., mention the UE Choir, and present this flyer, and the UE Choir will receive 10% of all designated purchases. Support the UE Choir and its trip to Carnegie Hall by enjoying some frozen yogurt! The Honors Program invites you to attend the Honors Program Project Presentations on April 4-7 and April 11-14. The Honors project is an opportunity for students to explore an area about which they are passionate. The Honors project may consist of a research project, thesis, or creative work. Students may use the Honors project to launch areas of interest for graduate study or to expand résumés for employment. Below is a schedule of the presentations for April 4-7. Presentations will be held in Room 101 in Koch Center for Engineering and Science unless otherwise noted. Wednesday, April 6 from 2:30–2:45 p.m.
Wednesday, April 6 - 3:00–4:00 p.m.
Wednesday, April 6 - 4:00–5:00 p.m.
Thursday, April 7 - 1:30 – 1:45 p.m.
Thursday, April 7 - 4:00–5:00 p.m.
UEVETS, the University's student veterans organization, has room for six more teams (up to five people per team) for its annual Spare Change for Warriors Bowling Tournament. There is no charge for bowling, so gather your friends and join us. The event will be held at River City Recreation on Weinbach Avenue just south of Washington Avenue on April 2 at 1:00 p.m. The first six teams to respond will get the spots! Contact Joel Kaiser at jk283@evansville.edu or call 210-792-6504 by Friday, April 1. Please join us for the Melvin M. Peterson Literary Forum on Friday, April 8, from 7:00-8:00 p.m. in Room 162 (Harkness Hall), Schroeder School of Business Building. Our guest speaker will be Matthew J. Bolton, and his lecture is titled "Eliot's iPhone: Reading The Waste Land in the Information Age." Bolton will discuss T.S. Eliot’s seminal 1922 poem The Waste Land through the lens of today’s wired society. As it approaches its centennial year, the poem seems only to have gained relevance, and may offer a key for better understanding a new, information-driven era. In our way of selecting and sharing what we read and experience, our building of playlists and curating of new media, and our everyday immersion in the stream of words and images that is the internet, we are somehow catching up with Eliot’s method in The Waste Land. Making a study of The Waste Land’s disparate voices and broken images can therefore tell us much about the condition of living in the Information Age. Bolton earned his PhD in English from the City University of New York-Graduate Center. He received the T.S. Eliot Society’s Fathman Young Scholar Award for research related to his dissertation. His many publications include chapters in the books Ernest Hemingway and the Geography of Memory and The Waste Land at 90, as well as chapters in 25 books in the Critical Insights series. Bolton has published articles and reviews in journals including the Yeats Eliot Review, Dickens Quarterly, and Victorian Studies. Bolton has taught at the City University of New York, the College of Mount Saint Vincent, and Loyola School, and is currently the head of the Upper School at the Seven Hills School in Cincinnati, Ohio. International House (I-House) is a program that offers weekly presentations and educational events to the UE community. If you would like to enhance your leadership skills, help organize student presenters, get to know international students, and learn more about the world, this 8-month paid position may be for you! Applications are available in the Office of Cultural Engagement and International Services until Friday, April 8. Please contact Megan Sicard at ms331@evansville.edu with any questions. The UE Alumni Association sponsors the Alumni Research and Scholarly Activity Fellowships that provide $15,000 annually for faculty projects. Applications for fiscal year 2016-2017 can be made online here. The deadline to submit is 5:00 p.m. on Friday, April 8. Questions? Contact alumni@evansville.edu or ext. 2586. The Libraries are pleased to offer additional late night hours for students. Every Friday and Saturday night, the first floor will remain open from 6:00-10:00 p.m. Limited library services will be available. Enter the library from the new door facing Ridgway University Center via card swipe after 5:50 p.m. to use the space. After-hours are also offered Mondays-Fridays from midnight-4:00 a.m. Interruptions to this service will be posted on the UE app. This is a reminder to all faculty and departments that textbook adoptions for the summer sessions and Fall 2016 are due in the UE Bookstore. If you have any questions, please contact the textbook department in the Bookstore at ext. 2679. Thanks for your assistance in this matter. May graduates who still need a cap and gown for graduation are reminded to stop by the UE Bookstore. Also, if you need graduation announcements they should be ordered promptly in the Bookstore to allow sufficient mailing time. If you have questions, please contact the Bookstore. Looking for simple new ways to come closer to your faith? Join Newman Club members Nathan Kabat and Nicolette Fonseca for 20 minutes every Friday at 11:00 a.m. in Neu Chapel as they lead us in the Rosary! We hope to see you there! Please e-mail Nicolette (nf39@evansville.edu) or Nathan (nk78@evansville.edu) for more information! If you are seeking financial aid to help pay for summer courses at UE, please complete a Summer Financial Aid Application, which you can find here. The aplication is also available in the Office of Financial Aid. We will help you examine your options for aid, which in most cases during the summer term is limited to: direct loans, PLUS loans, private student loans, Federal Pell and SEOG Grants, tuition remission (employees and dependents), and student employment. Refer to the summer form to determine the types of aid for which you may be eligible based on your anticipated enrollment status. Also - on-campus jobs are available for continuing UE students during the summer. You do not need to be eligible for need-based Federal/State Work-Study during the academic year in order to apply. You may also apply regardless of your enrollment in summer courses. Applications are available here, and in the Office of Financial Aid. Direct questions to Catherine Carver at cc204@evansville.edu. All materials (orientation and LTD attendance), three speaker broadcasts, and three SNT forms must be submitted online by 5:00 p.m. on April 4, in order for you to be officially inducted into NSLS. Those interested in checking their membership status should please e-mail Jennifer Allen at ja225@ueliveevansville.onmicrosoft.com. Robert Dion, associate professor of political science, was recently interviewed by Brad Byrd during Channel 25's In-Depth segment. Topics discussed included the latest fallout in the presidential race, whether the Republican race could see a brokered convention, and the impact local primaries could have on the nominations. To see the complete interview, go here. As part of the 50th anniversary of Neu Chapel, 48 alumni couples, ranging from two to 51 years of marriage, will renew their vows in the Chapel this Saturday at 4:00 p.m. Chaplain Gieselman and professor emeritus Wayne Perkins will serve as officiants. Helen Skuggedal Reed, adjunct instructor of organ and harpsichord, presented a recital, “Keyboard Arrangements of Polyphonic Music, ca. 1550-1650,”on March 23 at the fifth annual meeting of the Historical Keyboard Society of North America. Reed has served as board member and treasurer of this organization since 2012. She played the remarkable Brombaugh mean-tone organ in Fairchild Chapel on the campus of Oberlin College and Conservatory, Oberlin, Ohio. Dale Edwards, professor and chair of biology, recently received the Academy Fellow Award during the 131st Annual Meeting of the Indiana Academy of Science held in Indianapolis. The Fellow is the Academy’s most prestigious honor awarded to those who exemplify the highest standards of professional performance demonstrated through service to the Academy and to the advancement of science in Indiana, service to education in science, and achievements in scientific research consistent with the ideals and mission of the Indiana Academy of Science. After racking up 28 runs over the last 14 innings on the field, the University of Evansville baseball team will be looking to keep its high-scoring offense rolling today as the team is set to play host to Florida Gulf Coast for a three-game set at Charles H. Braun Stadium. The Aces (12-11) are only able to officially count 13 of those 28 runs for record purposes after an unfortunate rainout on Wednesday evening wiped out a 15-0 scoreline against Indiana in Bloomington. Despite this, the Aces still boast of one of the most dangerous offenses in the Missouri Valley, and the team enters today's contest posting better than seven runs per game with a .283 team batting average. Overall, 11 UE hitters have slugged a home run this season, and the team ranks second in the Valley with 24 on the season, which already stands as the most homers by an Aces squad since the 2011 campaign. It’s been more than just offensive excellence that has helped UE this season, beginning with senior hurler Connor Strain, who has not allowed a single score in 18 of the 19 innings that he’s pitched this season. The Shelburn, Indiana, native will enter today with a scoreless streak in excess of 16 innings, and he’s coming off a career-best eight strikeouts in over six frames at Eastern Kentucky a week ago. Patrick Schnieders, who will be making his sixth start of the season on Saturday, has also been impressive, and he currently boasts of a 1.80 earned run average over a team-best 30.2 innings of work. Freshman southpaw Alex Weigand will get the nod in the series finale after spending the bulk of the season to this point as a midweek starter. Meanwhile, FGCU will enter the weekend after taking home five consecutive weekend series. Overall, the team has won four of its last five games, with the lone loss coming last Friday in 14-9 fashion at FAMU. First pitch today is slated for 6:00 p.m., and Saturday’s doubleheader will get started at noon.